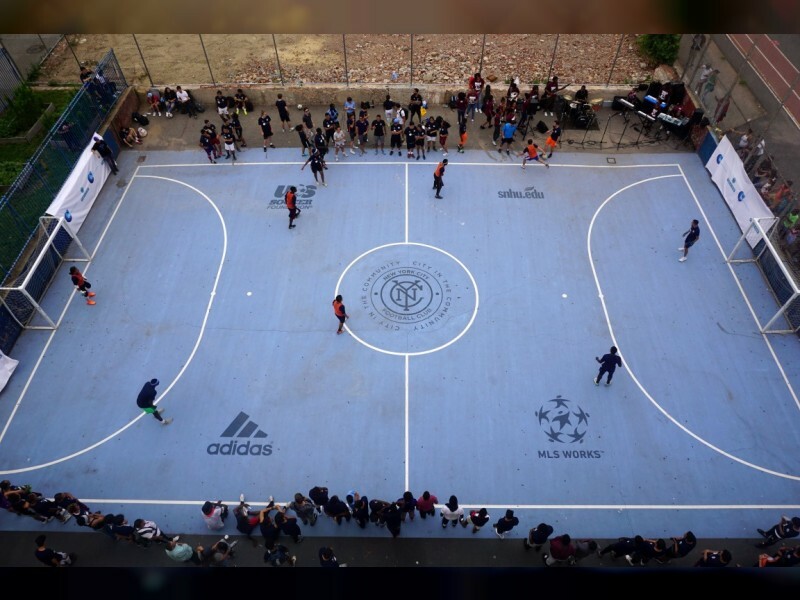 NEW YORK, 26th July, 2018 (WAM) -- The Consulate General of the UAE in New York participated in the New York City FC, NYCFC, street soccer festival in New York City’s South Bronx neighbourhood, an event initially launched in 2017 in partnership with the UAE Consulate and Abu Dhabi Sports Council, ADSC. The street soccer festival was a continuation of last year’s event and aimed to encourage healthy lifestyles, empower young people from the neighbourhood, and create a fun and safe place for local youth. As part of the UAE’s participation, the Consulate sponsored the official awards ceremony, donated soccer balls, and organised an on-site henna station for festival attendees. The UAE Bedouin team of local Emiratis also took part in the adult soccer tournament. "Sports is a terrific way to increase cultural understanding between people around the world," Majid Al-Suwaidi, UAE Consul-General in New York, said. "Our participation in the NYCFC soccer festival advances the UAE-US shared values of openness, tolerance and respect for others." Known for its unstructured games and creative play, street soccer is an important part of Emirati culture. The sport has also grown organically in the South Bronx neighbourhood. NYCFC’s soccer festival celebrated street soccer culture and featured a meet-and-greet with NYCFC defender, Alexander Callens. "We have seen soccer take off in the South Bronx. NYCFC is proud to have played a small role in bringing this community together through the power of soccer," Paul Jeffries, Director of Community Development for NYCFC, said. The soccer festival included local South Bronx youth teams taking part in a five-on-five round-robin tournament, followed by an adult tournament composed of teams from the New York City Police Department, La Canchita All-Stars, a group of top talent from the local area, among others. Anwar Azizi, Head of Support Services and Protocol Section at the UAE Consulate, attended the event and presented the young winners with medals. In its second year, the event is supported by City in the Community, CITC, the charity proudly supported by NYCFC that serves over 4,000 underprivileged youth each week through free soccer programming and coaching.